Quetone Music is very pleased to announce a new global partnership with record label Blue Pie Records! The entire Quetone catalogue will be distributed globally through Blue Pie. Blue Pie Records is an Australian-based international label which is one of the worlds leading independent record labels, publishers and distributors. Theye represent over 2500 artists and over 150 leading independent labels from all over the world. 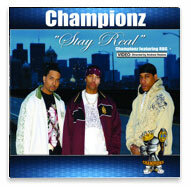 Quetone CEO, Quion, and Blue Pie CEO, Damien Reilly, met when Championz were siged with Blue Pie Records. The two businessmen worked so well together a partnership quickly seemed unavoidable. Quetone Music is very excited to have such a powerhouse label backing them up and we are looking forward to a long and prosperous relationship.